According to freshman Congresswoman Alexandria Ocasio-Cortez, "millenials like her believe the world is gonna end in 12 YEARS if 'climate change' is ignored" as the Daily Mail reports in a new story. Giving us a hint of what's to come in Congress's 2019 legislative session by claiming in her recent interview that new 'climate change' laws (think taxes) will have to be passed to head off the 'climate change apocalypse', we thought we'd take a look within this ANP story at 5 ways we believe are much more likely that 'the world will come to an end (as we know it)' than 'climate change', with some possibly much sooner than 12 years and as we'll see below, 'Trump derangement syndrome' could actually usher in #1. As Dane Wigington has warned numerous times on his Geoengineering Watch website, the catastrophic consequences of climate engineering and the globalists attempt to cool the planet far outweight any real dangers of 'human-caused global warming' if such a concept exists at all and with ongoing atmospheric experiments taking place in the skies above us all the time and for many years running, Wigington has warned we're making our planet less habitable for human beings with our attempts to reverse the effects of so-called 'global warming' than if we were to just allow nature to play out itself. 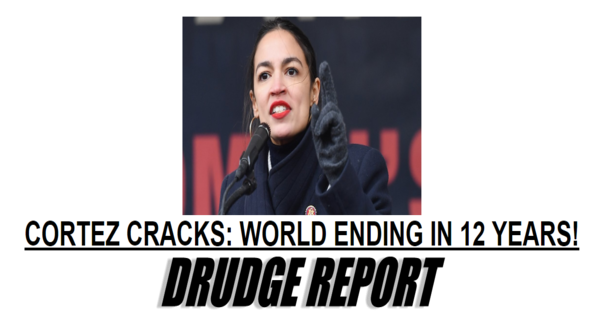 And while 'Cortez cracks' and she and her millenial friends worry themselves sick over the world ending in 12 years because of 'climate change', as we had reported on ANP back on December 6th of 2018, according to Russia expert Stephen F. Cohen, 'Trump derangement syndrome' could actually bring about World War 3 with Russia, a war that anyone who pays attention to the independent news knows wouldn't work out well for anyone and could easily lead to near-extinction. Cohen actually warned we may be 'sleepwalking into Armageddon' due to the Russia-collusion lie that half of America is buying into while warning that the 'new cold war' that we are now in with Russia is much more dangerous than the original one. And as Russian President Vladimir Putin himself recently warned, nuclear war could easily and quickly lead to the apocalypse and the end of civilization. And as we've reported time and again on ANP, with Russia's new unstoppable hypersonic nuclear weapons, such a war is a war that the US couldn't possibly win while the entire world loses. 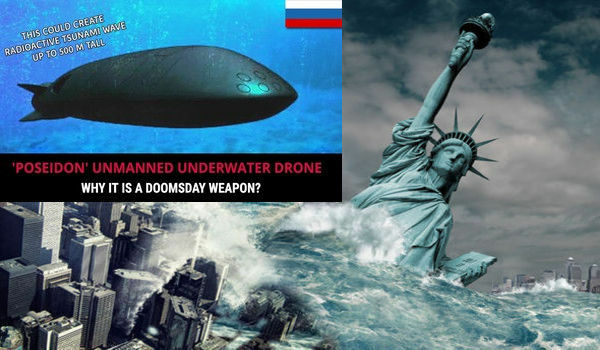 #1: It's not the least bit of a stretch to understand how nuclear war in 2019 could end all of life on Earth with Russia's new hypersonic nuclear weapons capable of taking out an area the size of Texas or France and their new POSEIDON artificially intelligence powered submarine capable of launching a 100+ megaton nuclear weapon capable of unleashing a 1,600' tidal wave that travels 100's of miles inland, leaving everything within it's path a tidal wave ravaged nuclear wasteland. And the unstoppable SATAN 2 nuclear blasts aren't really even necessary should Russia unleash an EMP attack over America that takes down the entire nation's electrical grid, turning 320+ million Americans into unwilling participants in a barbaric reality show unlike anything Hollywood producers have ever been able to come up with. And while some say that the electrical grid going down all across America wouldn't be a 'world ending event', as Putin had warned back in October of 2018, any nuclear war in the modern day we're now living in will be felt worldwide with Putin claiming Russians will "go to heaven as martyrs" while of his enemies: "They will simply die because they won't even have time to repent." 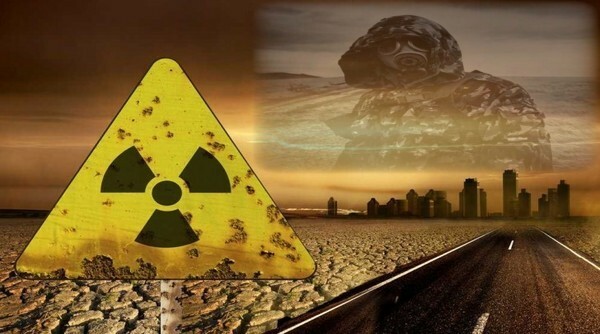 And as Dr. Peter Vincent Pry had previously warned in this December of 2018 story on ANP, should the national electrical grids across America go down simultaneously, we'd likely have every nuclear power plant in America melting down at the very same time, unleashing nearly 100 Fukushima's across America. So imagine that Alexandria Ocasio-Cortez, if Russia-expert Stephen F. Cohen is correct, the Democrat's own 'Trump derangement syndrome' is much more likely to usher in the end of the world than 'climate change' within the next 12 years. #2: While many believe that World War 3 will be of a nuclear variety, others have warned that it will be fought with biological and chemical weapons that can be developed at relatively cheap costs with relatively easily attainable materials leading to this September of 2017 USA Today story to report a nature-caused or man-made pandemic via war or 'strategic release' throughout large cities of the world could bring about TEOTWAWKI. As we've previously reported on ANP, advances within synthetic biology, with CRISPR technology as close-by as an Amazon delivery, has made the possibility of malicious characters creating a biological weapon such as the 1918 Spanish flu pandemic that killed off nearly 100 million people around the planet much more likely than at any time before. As we had reported on ANP back on January 7th, the US government even took the liberty of publishing the entire genome of that 1918 Spanish flu online for anyone to get their hands on with even this 2005 NY Times story excoriating them for doing so, claiming they were publishing a 'recipe for destruction' online that anyone, even terrorists, could access. And should a pandemic unleashed make it's way across the planet, medical experts warn the world would be very vulnerable. And with the global elite having a 'depopulation agenda', can we really put it past them to unleash such a pandemic that helps them to 'cull the herd' as they've long hinted via 'monuments' such as the Georgia Guidestones they'd like to do? #3: According to this November of 2017 story over at Wired, the genie is out of the bottle and there is nothing that any of us can do to put it back in. Quoting within their story Stephen Hawking who had warned numerous times before his death that artificial intelligence could lead to the end of the human race, Hawking warned he fears that AI may one day replace humans altogether. "If people design computer viruses, someone will design AI that replicates itself. This will be a new form of life that will outperform humans." And while the so-called "A.I. Apocalypse" may be further away than 12 years, this story over at Live Science hints it may be sooner than that with 'killing machines' not far from reality. While the "United Nations recently called for a ban on killer robots — presumably because experts worried that several countries were developing them, many computer scientists think the singularity, the point at which artificial intelligence overtakes human intelligence, is near. Whether those robots will be benevolent helpers or the scourge of humanity is still up for debate. But a lot can go wrong when there are hyperintelligent robots armed with lethal weapons running around." And as this October of 2018 story over at left-wing Vox reported, with A.I. progressing rapidly, surveyed scientists have warned there is a 50 percent chance of AI being able to perform most tasks as well as, or better than, humans and there’s a common misconception that the risk of AI is that it will become malevolent. With other experts warning that AI could turn against their human handlers, who is to say that AI will have human beings best interests in mind once they become able to think and function on their own without human input? 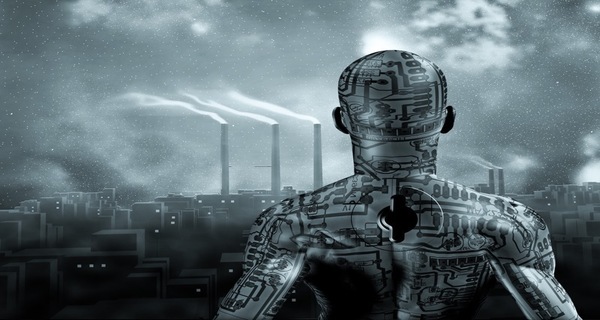 With our future bringing us 'machines communicating with machines', is it really out of the realm of possibility that these machines might one day determine that human beings are a threat to THEIR existence? As we reported on ANP back in May of 2018, AI might eventually look at human beings as an ant-hill in the middle of their 'construction project' and do what construction workers do if they run into an ant-hill while putting a roadway in, plow it over. In this November of 2017 story over at Business Insider and the 2nd video below we see a short film called 'Slaughterbots' which depicts a dystopian future of AI-powered killer robot drones swarming all over the world. #4. While absolutely a long-shot, according to this October of 2000 story over at Discover Magazine, the reversal of the Earth's magnetic field could bring about 'the end of the world as we know it'. Warning within that story that on average, our planet's magnetic field reverses every few hundred thousand years but we are now likely 'overdue' for that next flip, several recent stories from across the internet show something very strange happening now with our planet. While a pole flip is a huge long-shot, and we certainly won't be losing any sleep worrying over that possibility, this Daily Mail story from just days ago that Steve Quayle had linked to on his website reported scientists are now warning the Earth's magnetic North Pole has begun moving 'erratically' at speeds so fast they are having to issue an emergency update to GPS models but are unable to do so nationally due to the still-ongoing US government shutdown. 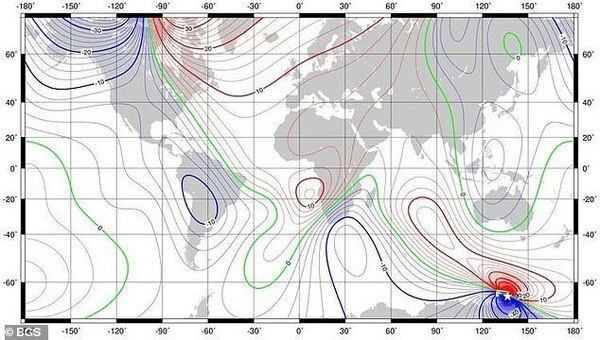 Reporting also that our planet's magnetic north is now moving about 30 miles a year after having not moved much at all between 1900 and 1980 but accelerated rapidly over the last 40 years, their story also reported the problem lies partly with the moving pole and partly with other shifts deep within the planet. Liquid churning in Earth's core generates most of the magnetic field, which varies over time as the deep flows change. And while we'll explore those 'other changes deep within the planet' in our final section below and the activation of volcanoes all around the world that we're witnessing now, the 'cataclysmic pole shift hypothesis' suggests a very rapid shift in our magnetic poles could take place, with some arguing it's happened time and again throughout history, causing massive floods and other tectonic events that could only be described as 'Biblical'. 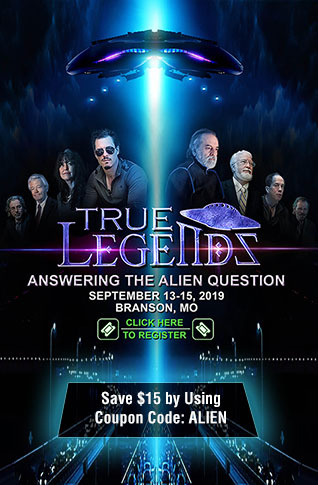 As Ray Gano recently asked in this story which Steve Quayle had linked to on his website, are the 'tribulation judgements' caused by a magnetic pole shift? Then pointing out that nearly 18 of 29 Biblical end times events warned of in the Bible could be tied to a shifting of the Earth's magnetic poles, including massive earth changes, rivers running dry, sea life destroyed and much of the human race wiped out, should those who've advocated for the 'cataclysmic pole shift hypothesis' be correct, as Gano points out in his story, the 'coming judgements' upon our planet Earth could very well be somehow tied to magnetic pole shift. #5. 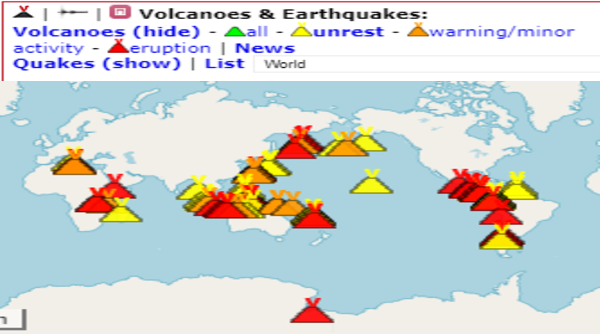 So let's take a look at #5 and we need go no further than our always tumultuous and always changing planet Earth which now is witnessing over 70 volcanoes across the planet either in full eruption, showing unrest or minor activity according to this always updated list over at Volcano Discovery as also seen in the map screenshot from their web page above. And while most Americans might ask why they should be the least bit concerned about volcanoes erupting halfway across the planet, with our planet showing more and more signs of unrest as we also detailed in the section above on 'magnetic pole shift', it's only a matter of time before one supervolcano or another across the planet erupts, potentially devastating the entire planet. While Cortez-Ocasio and the millenials worried about global warming (while the temperatures were well below freezing in Washington DC), she should be researching what happened back in 1815-1816 after the volcanic eruption of Mount Tambora in the southern hemisphere, an eruption which sent temperatures FALLING all around the world for the following year+ and leading to what Europeans and Americans have forever since known as the 'year without a summer'. Leading to famine all across the planet, even thousands of miles away from Tambora here in the USA, experts have warned that a catastrophic eruption of any number of different supervolcanoes in 2019 could "create a global 'volcanic winter' which would make growing crops almost impossible and ultimately cause horrific global famine". And with the 'Ring of Fire' now on fire as we see in the Volcano Discovery list linked here while experts warn that 'the big one' could strike at any time and without warning, potentially unleashing a tsunami that could level entire cities as the Daily Mail recently reported, we'd argue that should the 'Earth changes' our planet is now going through kick up to the next level, the Biblical unleashing of our planet Earth's fury will be much more of a threat to human life than 'manmade global warming'. As Steve Quayle recently mentioned in this SQnote he left while linking to this video titled "Anak Krakatau Volcano Incredible Drone Footage After Collapse & Major Eruption", "Krakatau is one of the 2 most important volcanic trigger points on the planet, the other one being Mount Tambora". And the past gives us a view of the possible future.